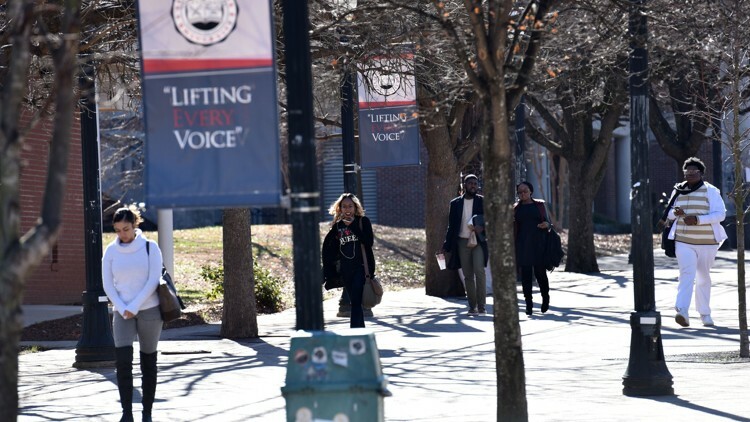 A tennis coach fired by Clark Atlanta University last month after a sexual harassment investigation prompted by a student complaint believes he is being scapegoated by the university to divert attention from other complaints that its athletics department has treated some women unfairly. Will Riley was dismissed on July 13, the day The Atlanta Journal-Constitution published a report about the complaint against him and the larger concerns about the department. A 19-year-old female player said he sent her what she said were unwanted sexually suggestive messages, such as not to eat too much to maintain her figure, and followed her on social media. In interviews with the AJC, Riley said the student and university officials misconstrued the intent of the text message exchanges. Riley said he followed all of his players on social media to monitor whether they posted anything inappropriate and to discuss the situation if they did. Riley said he didn’t use sound judgment by exchanging messages with the student at night. The text messages were exchanged after 11 p.m. “That was inappropriate,” he said. Riley, though, does not believe his actions constituted sexual harassment. He said he wanted to explain his actions. “I feel like I was wrongfully accused of certain things. I feel like I was pulled into certain things going on in the (athletics) department,” he said. The university declined comment, a spokesman said Friday. The university has faced some criticism in recent months that its athletics department is hostile to women. Three female coaches filed a complaint on June 27, according to a letter obtained by the AJC, with the university’s human resources department alleging that they’ve been “subjected to harsh and unwanted criticism, physical and psychological intimidation tactics as well as gender and equity issues.” The complaints include alleged tantrums by athletics director J. Lin Dawson, derogatory remarks about women, and scholarship cuts to various women’s sports programs. About 75 percent of the university’s students are women. Division I athletic departments spend on average about twice as much on their men’s programs than their women’s programs, though schools without football spend nearly the same on each (about $5 million), according to a 2017 report by the NCAA. Dawson said he’s tried to improve the ratio at Clark Atlanta, which was 2-to-1 in favor of men’s athletics when he was hired. Clark Atlanta is a Division II athletics program. The student said she brought forward her complaint because she said Riley stopped speaking to her and didn’t respond to messages from her family. Riley disputed that. The coach believes the student complained because she didn’t get to play in a championship tournament in mid-April. The student denied that. “My intentions were not to get him fired nor was that my request. The other coaches & trainer in the department felt like the situation was not handled correctly … I am sorry that this has happened to him,” she said.